Whether you like it or not, VECTO (Vehicle Energy Consumption Calculation Tool) will be upon us from 2019. If you're not completely familiar with this acronym, the system serves to provide an independent CO2 rating for various HDVs; based on varying drive cycles. The results should speak for themselves. The scale should mean that any heavy goods vehicle producing more CO2 will be consuming more fuel to transport goods from A to B... or does it? VECTO will be initially applied to trucks and tractive units but there are plans to submit reports back to European Parliament about setting CO2 targets for other types of vehicle; including trailers. The trouble is, the VECTO CO2 output figure wasn't relative to the load being carried. 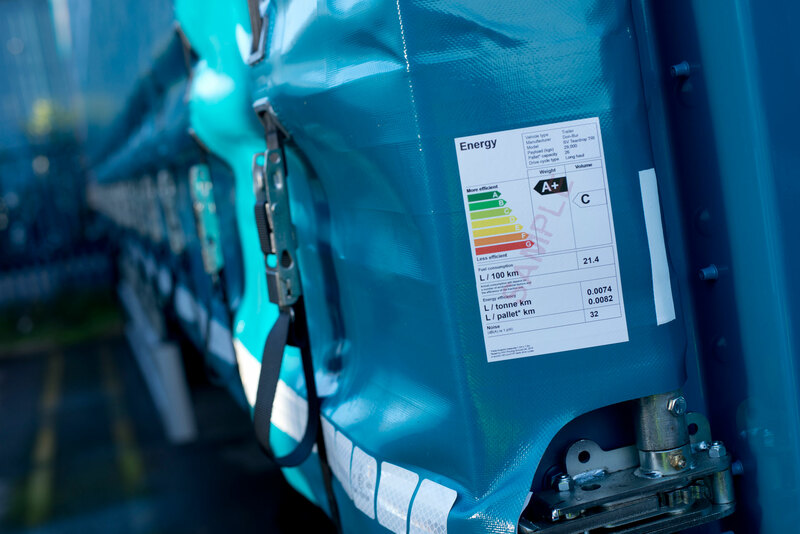 For instance, one operator carrying 60 UK pallets of insulation material on a max-cube double deck LST will be benefitting from the additional cubic volume that type of trailer affords. However, that same trailer will not be as fuel-efficient for a carrier weighting-out with 19 pallets of aggregate weighing in at 1500kgs each. The two just can't be compared... but the VECTO CO2 rating would have been the same if both trailers were being hauled by the same 6x2 tractor. "The VECTO model and related regulations will produce CO2 values in grams of CO2 per tonne-kilometre and grams of CO2 per metre3-kilometre. This combination of values and measures reflects the importance of taking into account CO2 emissions from HDVs according to both the mass and the volume of goods transported. For example, trucks are limited by how much cargo they can transport by either mass or volume depending on the density of their cargo." Don-Bur are delighted with this result. What this now means is that operators will be able to make informed decisions about the most fuel-efficient HDV type whether you're carrying foam on double deck LSTs or lead on a 10m single deck urban.